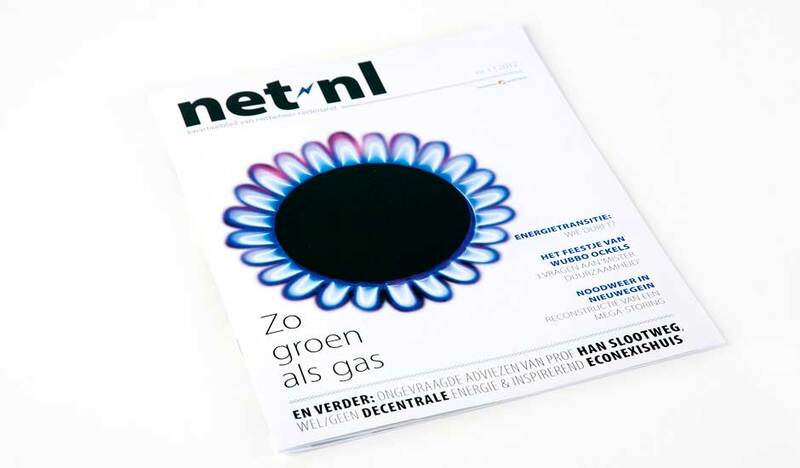 NL: Net.nl is een kwartaalblad van 16 pagina’s, dat onder anderen wordt verspreid onder aandeelhouders, overheid en energie bedrijven. 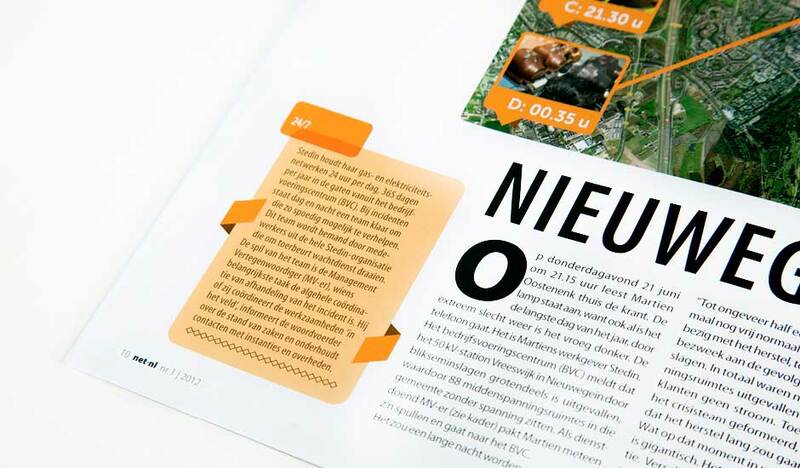 Potatopixels ontwierp de eerste editie van dit nieuwe blad en creëerde een raamwerk waarmee net.nl toekomstige edities zelf kan vormgeven. 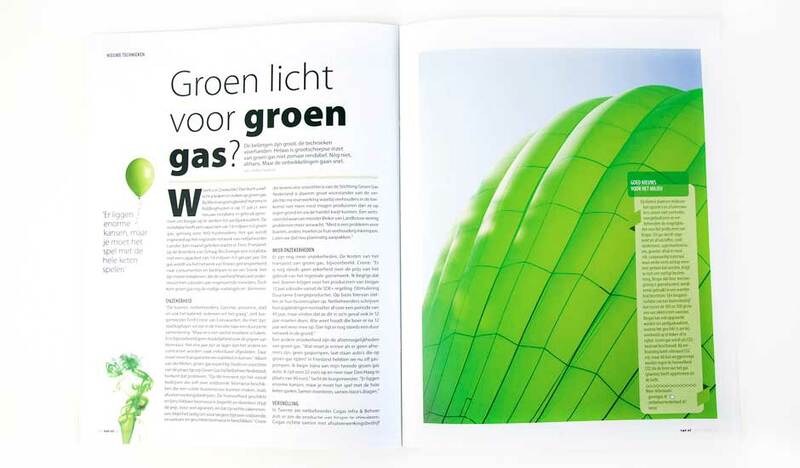 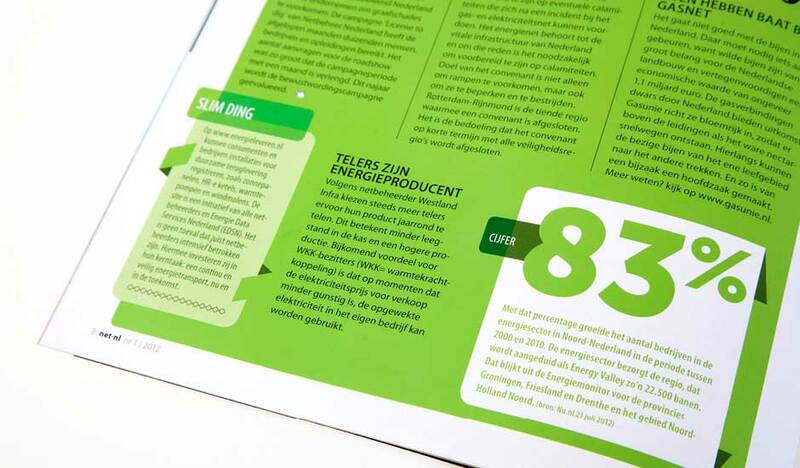 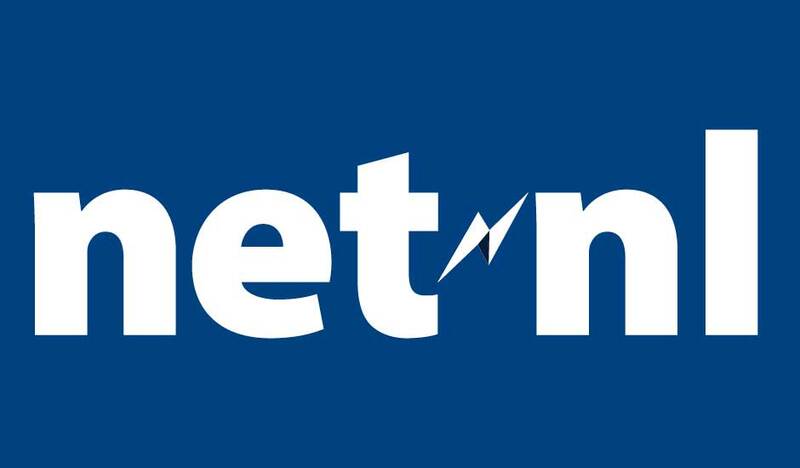 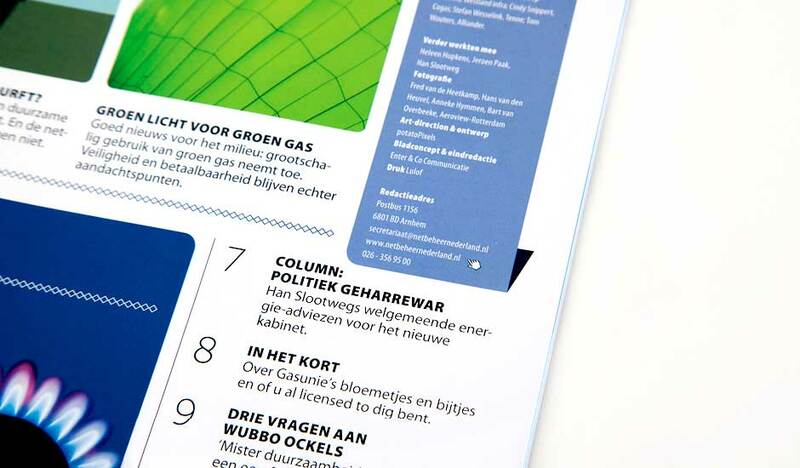 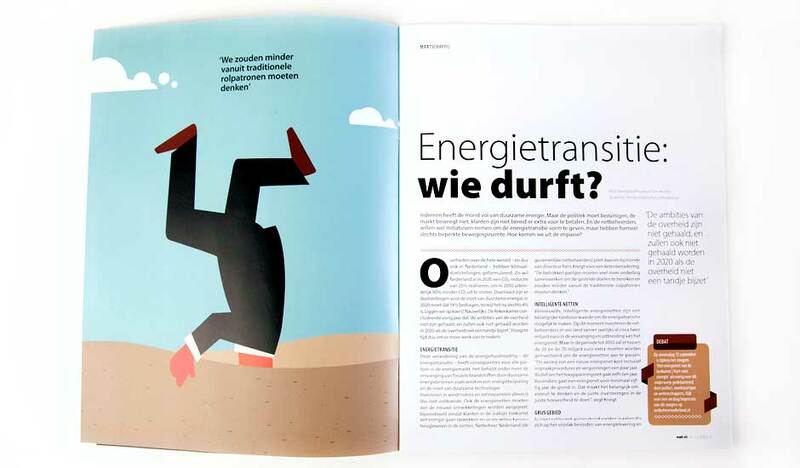 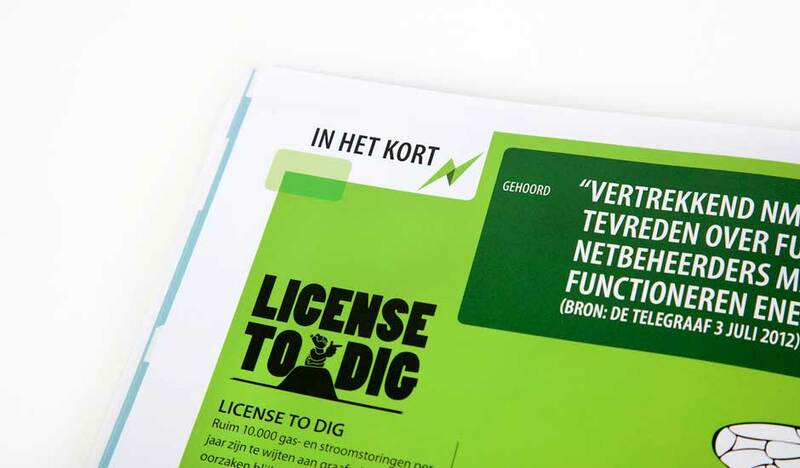 ENG: Net.nl is a 16-page quarterly magazine that was distributed to stakeholders, including government bodies, energy companies and association members. 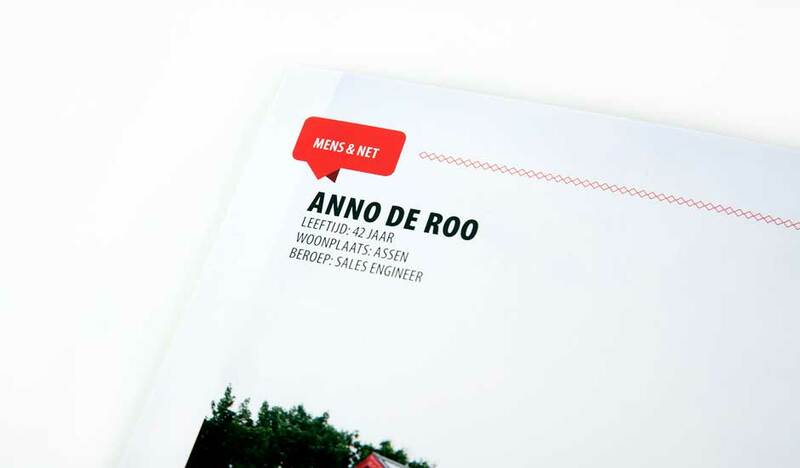 This was the first edition of a new magazine. 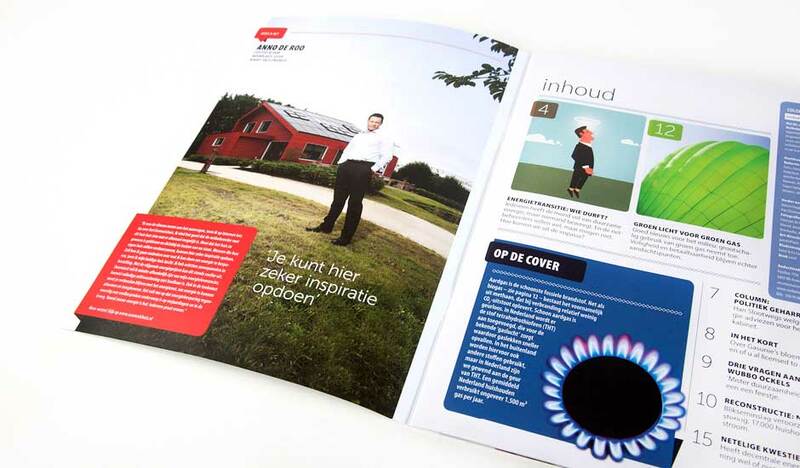 The brief was to art direct and design the magazine’s layout, and create a template for future editions. 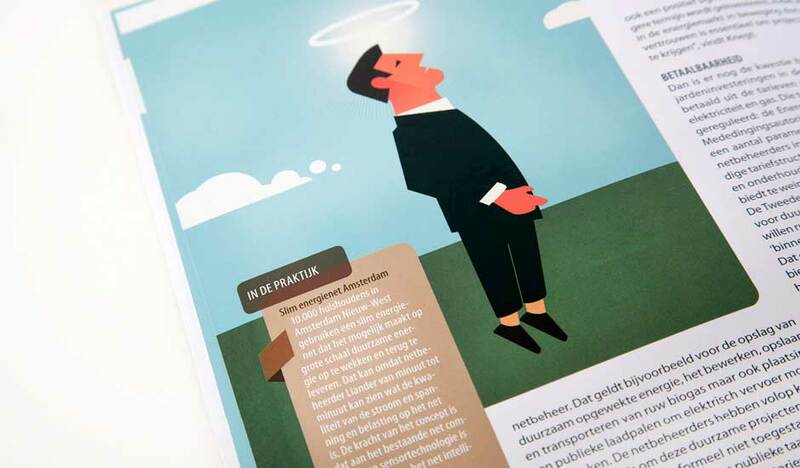 The client’s previous publication failed to effectively connect with stakeholders. 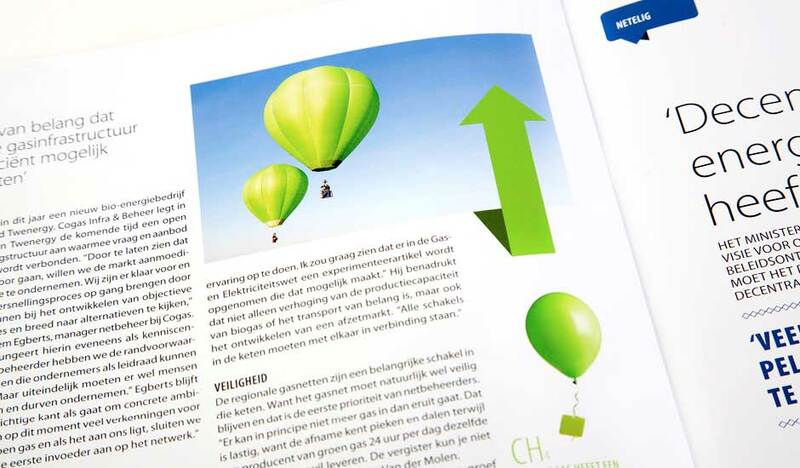 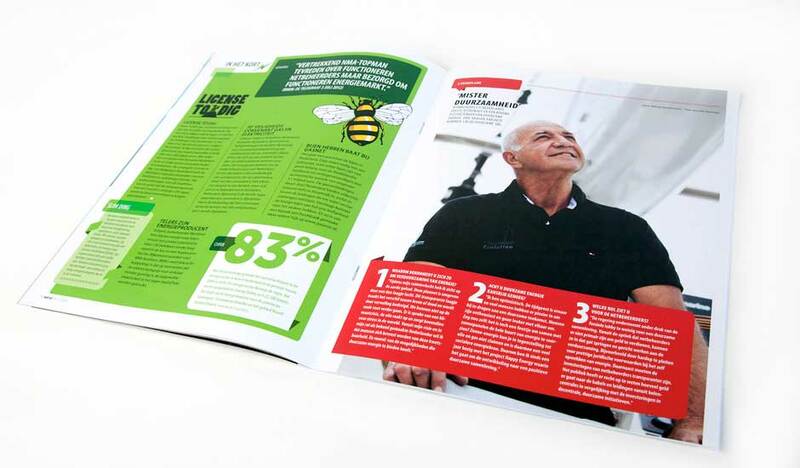 An external editorial specialist established the magazine, which achieved the client’s main goal of communicating their message in an open and accessible way.